Edina, Minn., he was a seventh-round selection by Portland in the WHL’s 2013 bantam draft. That pick was made by Mike Johnston, then Portland’s general manager and head coach. Johnston returned to the Winterhawks prior to this season after a stint as head coach of the NHL’s Pittsburgh Penguins.The 6-foot-0, 200-pound Bellows was a freshman at BU this season. He struggled at times against NCAA competition, finishing with seven goals and seven assists in 34 games. However, he was solid with the U.S. national team, with two goals and an assist in seven games, as it won the 2017 World Junior Championship. Bellows spent 2014-15 with the USHL’s Sioux Falls Stampede, scoring 33 goals and adding 19 assists in 58 games. In 2015-16, he played 62 games with the U.S. National U-18 team, putting up 50 goals and 31 assists in 62 games. He also played 23 games with the U.S. National Team Development Program U-20 team, scoring 16 times and adding 16 assists.The Winterhawks see Bellows as a power forward along the lines of graduating captain Keegan Iverson, but with a better scoring touch. 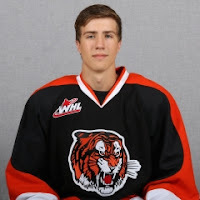 Iverson had 26 goals and 44 assists in 55 games this season.You can bet the house that Bellows will get the opportunity to play alongside F Cody Glass, who will be an early first-round selection in the NHL draft next month. Glass, who turned 18 on April 1, is a tremendous playmaker who had a breakout season, with 94 points, including 62 assists, in 69 games.——If you’re a regular here, and even you aren’t, feel free to contribute to the feeding of the Drinnan family by making a donation to the cause. You are able to do so by clicking on the DONATE button and going from there.BTW, if you want to contact me with some information or just feel like commenting on something, you may email me at greggdrinnan@gmail.com.I’m also on Twitter (@gdrinnan). The OHL-champion Erie Otters broke a 2-2 tie with a pair of early third-period goals en route to a 6-3 victory over the QMJHL-champion Saint John Sea Dogs in the Memorial Cup semifinal on Friday night in Windsor, Ont. . . . The Otters will meet the host Spitfires in the tournament final on Sunday. Game time is 4 p.m. PT (7 p.m. ET). . . .Last night, F Dylan Strome broke the 2-2 tie with his sixth goal of the tournament at 2:38 of the third period and F Gera Poddubnyi added insurance at 3:45 with his first goal. . . . F Taylor Raddysh (5) upped the lead to 5-2, on a PP, at 12:31. . . . Saint John D Thomas Chabot (2) chopped the deficit to two with his second goal at 16:28. . . . Erie F Warren Foegele (1) iced it with an empty-netter at 19:26. . . . Erie D Darren Raddysh (3) had opened the scoring at 9:56 of the first period, with F Joe Veleno (3) of the Sea Dogs equalizing at 14:10. . . . Erie went ahead 2-1 when Taylor Raddysh scoring, on a PP, at 10:57. . . . Saint John F Julien Gauthier, who also had two assists, tied it, on a PP, at 19:18. . . . F Alex DeBrincat recorded three assists for the Otters and F Anthony Cirelli had two. . . . Erie G Troy Timpano stopped 20 shots. At the other end, Callum Booth turned aside 31. . . . Erie was 2-7 on the PP; Saint John was 1-2. . . . Announced attendance: 5,410. . . .When they met in the round-robin portion of the tournament, Windsor posted a 4-2 victory despite being outshot, 35-19. . . . The Otters are hoping to become the first U.S.-based team from the OHL to win the Memorial Cup. . . . Sunday’s final will be the first since 2007 to feature two teams from the same league. In 2007, the host Vancouver Giants beat the WHL-champion Medicine Hat Tigers, 3-1, in the final. . . . 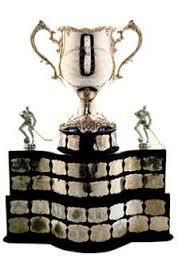 This will be the third Memorial Cup in a row won by an OHL team. The London Knights won it last year, with the Oshawa Generals having won in 2015. . . . Both head coaches — Windsor’s Rocky Thompson and Erie’s Kris Knoblauch — are former WHL players and coaches, who may be coaching their final major junior game on Sunday. Both are expected to move on to the pro ranks after this season. There has been speculation that Thompson will be the next head coach of the Utica Comets, the AHL affiliate of the NHL’s Vancouver Canucks. Jim Parker of Postmedia has a game story right here.